... 1605, British authorities seized Guy Fawkes in the Parliament cellars. 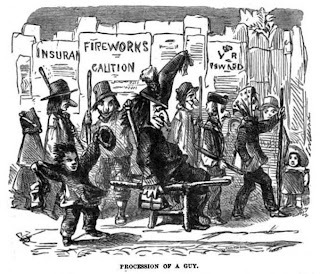 Member of a Catholic dissident group, Fawkes was laden with dozens of barrels of gunpowder – he and his Gunpowder Plot co-conspirators had planned to blow up the legislature as part of an effort to overthrow King James I, a Protestant. Fawkes would be tortured in detention, convicted of treason, and executed, in 1606, by hanging, drawing, and quartering. 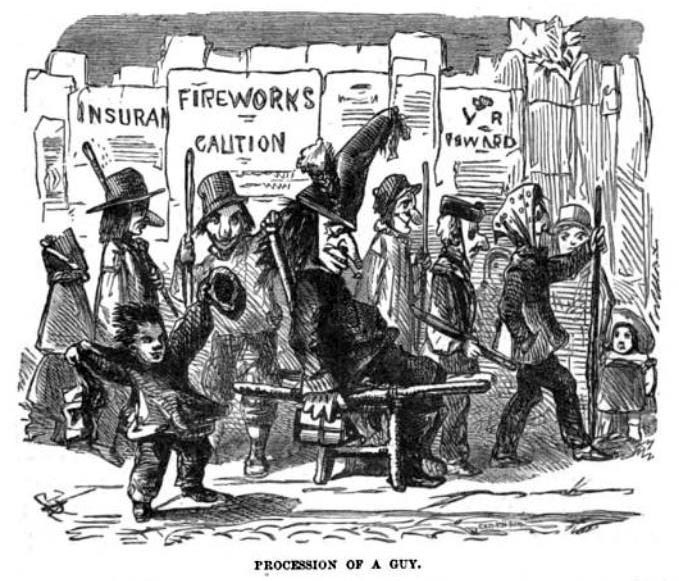 Today the authorities' thwarting of the plot is celebrated as Bonfire Night. Conversely, dissidents have come to celebrate Fawkes – hence the adoption of a Fawkes mask as a symbol of protest.